Emerging from the sea just 600 years ago, pest-free Rangitoto Island is the youngest volcano in New Zealand. An Auckland icon and deeply enriched with history, it's long been a favourite day trip for walkers, and a much loved boating destination. DOC completed a significant restoration programme on Rangitoto Island and its neighbour Motutapu Island. The islands are now a safe pest-free haven for precious native flora and fauna to survive and thrive. The popular summit track climbs through the world's largest pohutukawa forest. The peak is 259 metres above sea level, so you can enjoy spectacular panoramic views of Auckland and the Hauraki Gulf. Rangitoto Island is in the Hauraki Gulf close to Auckland city. There are two wharves – Rangitoto Wharf, serviced by public ferries; and Islington Bay Wharf, a popular anchorage for private boats. Private boats may use the wharves for loading and unloading passengers only. You can take a public passenger ferry or charter. Rangitoto is also accessible to experienced kayakers. It takes approximately two hours to kayak to Rangitoto Wharf from the Auckland's North Shore. Bring your own food and water. There are no shops on the island. Wear sturdy walking shoes that can cope with the rugged lava surfaces. Wear sunscreen and a hat. The heat reflecting off the ground can be intense. Take care not to miss your ferry. There is no overnight accommodation and alternative transport back to the mainland is expensive. 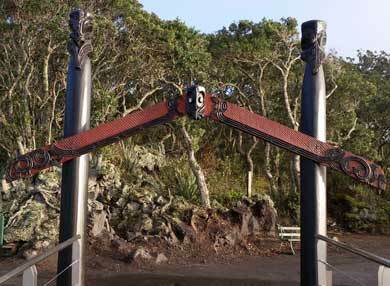 Pest-free Rangitoto Island in Auckland’s beautiful Hauraki Gulf not only boasts a new, state of the art wharf, but also a waharoa – a customary gateway. 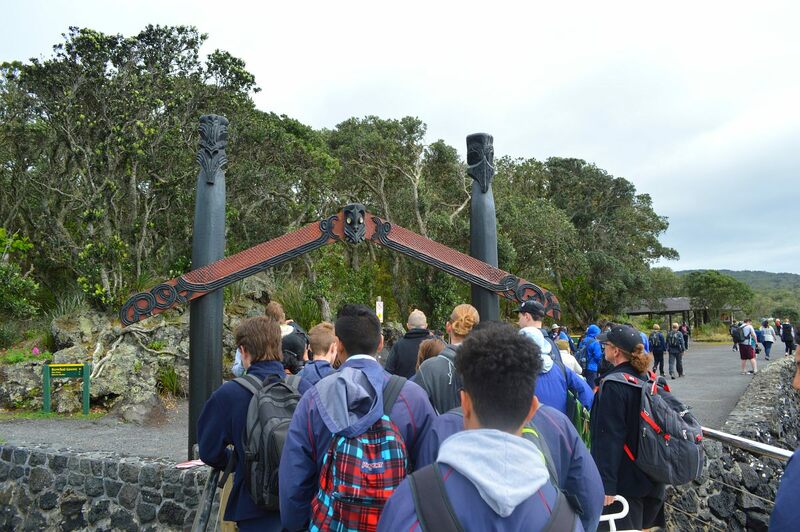 A diverse group of Aucklanders were bought together to walk the Rangitoto Summit Track, one of the tracks in our new set of Short Walks and Day Hikes.